Premium soaps and shampoos are provided, as well as large soft towels in the full bath. 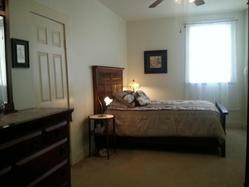 An additional half bath is located between the two bedrooms. There are two large bedrooms in the home The largest room is filled with antiques and offers two double size beds, as well a twin. The other bedroom has a queen size bed. 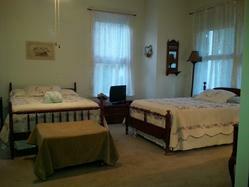 Both rooms have flat screen TV's and cable.